Steven Soderbergh likes to keep his inquisitive mind busy (even when he was in semi-retirement). One of the ways he does so is by writing posts on his blog Extension 765, which also doubles as a web shop. Several of his blog entries deal with his own film education, and how he learns from other filmmakers. Soderbergh prefers practice over theory, it seems: he has used the practice of (re-)editing movies as a study tool several times. There’s his mash-up of Hitchcock’s and Van Sant’s Psycho versions, and he cut down Cimino’s epic Heaven’s Gate to a mere 108 minutes. 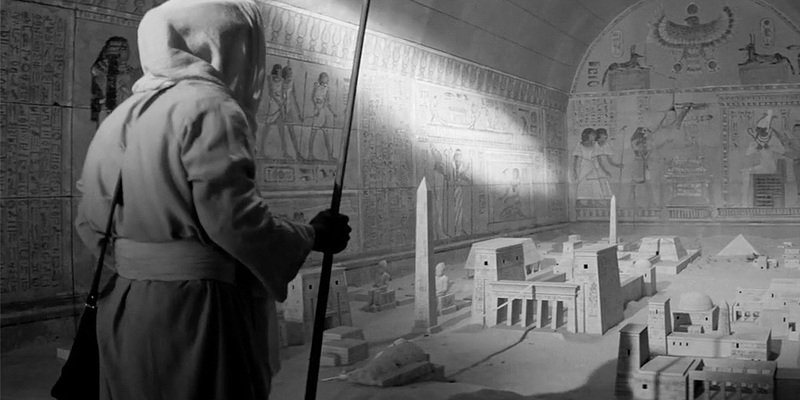 But his retooled version of Raiders of the Lost Ark is the best example of how creatively playing around with a movie can be a learning experience. 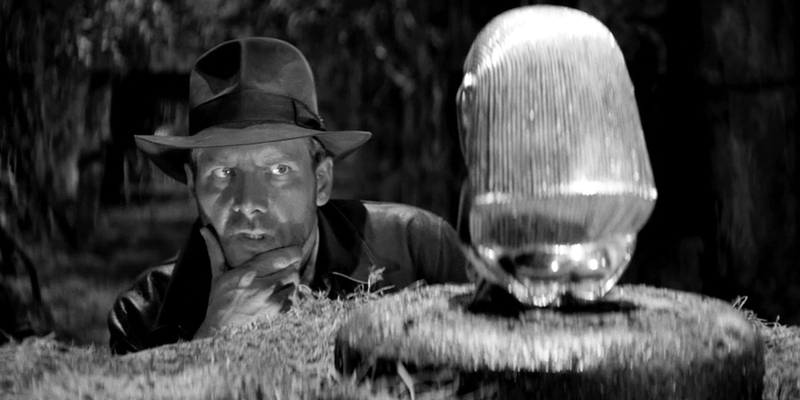 Soderbergh took Steven Spielberg’s classic and drained all color from it, turning it into the kind of black and white adventure film from the twenties and thirties that the Indiana Jones franchise lovingly pays homage to. This was not meant as a genre study exercise however: Soderbergh’s aim is to study Spielberg’s staging techniques and he therefore removes all distracting factors. Including the original sound, because he replaced the movie’s soundtrack with jarringly unfitting music (Trent Reznor’s and Atticus Ross’ music for The Girl with the Dragon Tattoo, for instance). The resulting feature-length remix demonstrates the potential for learning through practice that the video essay format offers: it can be a unique kind of material thinking that uses audiovisual strategies to reveal and elucidate the studied object.